Just over 4 rounds into their August 26th bout, a powerful Williams’ right hand devastated IssoufKinda, definitively ending the fight. Kinda who has been in the ring with the likes of Ismael Barroso, represented a significant bump up in level for Williams. It was a step up that Williams handled with ease. “It was a huge win in my career and Kinda was a great step up fight for me” said the 30 year old Connecticut native. 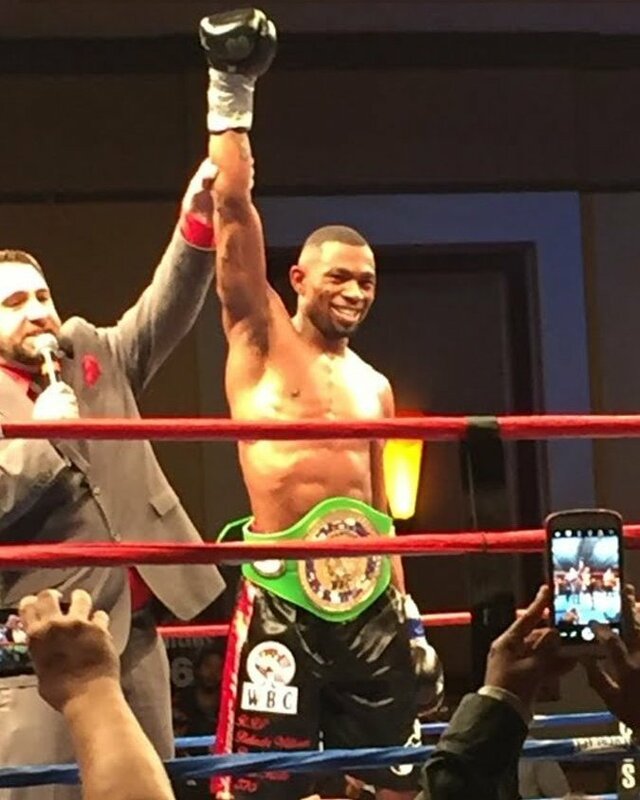 Whilst this fight was his first defense of the WBC United States championship belt he won against Nick Delomba, Williams must now be beginning to think on a larger scale. The undefeated father of two is as exciting to watch as he is inspirational. His story, combined with his undefeated record and aggressive fighting style makes him an easy sell and a genuinely bigtime fight is surely just around the corner. The welterweight division is packed at the moment and potential opponents are plentiful. The likes of Carson Jones and Brandon Rios offer potentially mouthwatering domestic clashes down the road. Further afield, Europe is packed with prospective fights and consequently, Williams rise could not be timelier. Williams returns to action against Juan Rodriguez on September 16th, a date which coincidentally happens to be his birthday. When asked about his thoughts on his upcoming fight Williams was measured in his response, “Rodriguez is a tough fighter who has been in the ring with some world ranked welterweights, but I’m definitely ready to make a statement”. Once a promising college football player who was entered into the NFL draft; Williams’ story is both incredible and deeply moving. Following the murder of his mother in 2008, he returned to boxing in her honor. Since then, Williams hasn’t taken a backwards step. 9 years, 14 wins and 1 draw later, Jimmy Williams finds himself on the verge of greatness. His nickname, the Quiet Storm, is becoming less and less applicable. The storm is no longer quiet. Jimmy Williams is beginning to thunder around the welterweight division. Perhaps not a household name yet, it would certainly be foolish to sleep on the man from Connecticut. The long term goal has remained the same throughout “I just want to keep climbing to the top and get a shot at fighting for a world title, that’s the goal” he says.